Ten-year-old Billie Nevile wants to be a daredevil, just like her hero Evel Knievel. She also wants a best friend. When Evel comes to town to jump the Snake River Canyon, Billie learns she has to be a friend to make friends and that not all heroes have to soar over canyons. 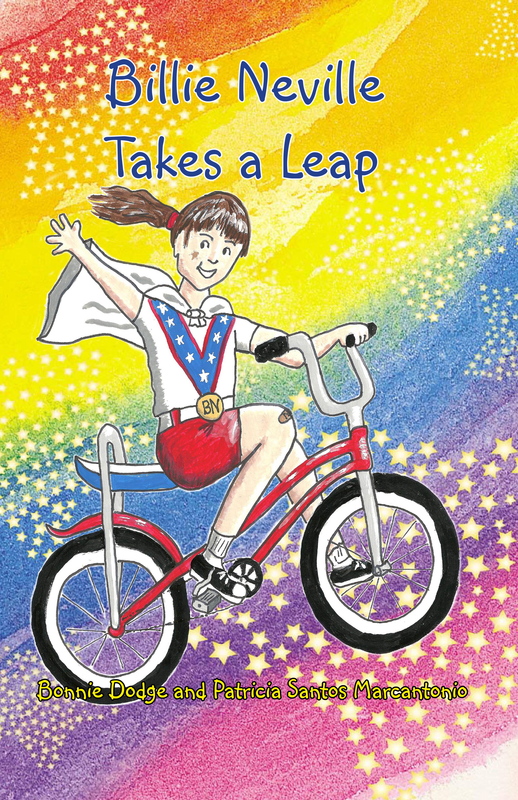 “BILLIE NEVILLE TAKES A LEAP” is an award-winning young adult book by Bonnie Dodge and Patricia Santos Marcantonio and inspired by Knievel’s Snake River Canyon jump on Sept. 8, 1974. In commemoration of the upcoming anniversary of jump, the Kindle version of “BILLIE NEVILLE TAKES A LEAP” will be on sale for 99 cents now until September 8. Soar with Billie and enjoy the ride.